Peloponnese is the most popular region of mainland in Greece. It is separated in 7 parts : Argolida, Arcadia, Achaia, Corinthia, Lakonia, Elis and Messinia. Its part has its own unique beauties where green scenery meets mythology and history. Peloponnese can give you everything you expect from summer in Greece. Myriads of beaches: deserted and exotic or endless and well-equipped. Here you can find mountains and caves, monasteries and castles. Peloponnese has interesting archaeological sites, traditional villages and fabulous beaches. 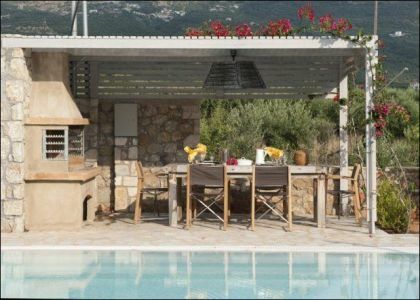 Apart from Olympia, Epidaurus and Mycenae that are the most important archaeological sites in Greece, top destinations for holidays in Peloponnese are Nafplion, Monemvasia, Gythio, Pylos, Porto Heli. A drive around Peloponnese will bring you in front of wonderful places. Also many tours (daily or multi day) depart from Athens for the tour of Peloponnese. On the southern side of the region, there are two lovely islands, Elafonissos and Kythira (which belongs to the Ionian group of islands). Enjoy our site and do not hesitate to contact us for any information needed. 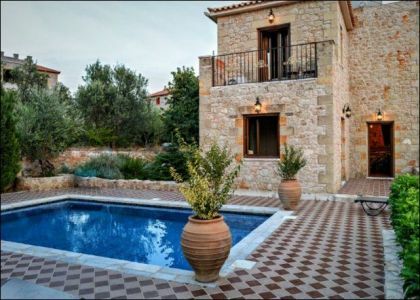 Book your villa in Peloponnese and as well budget apartments to meet your expectations concerning summer in Peloponnese. 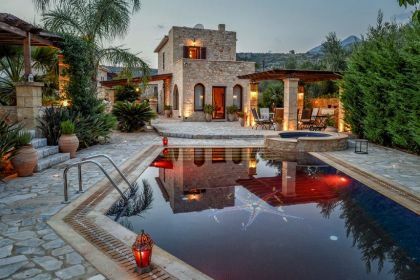 Argolida, Peloponnese is a fantastic holiday destination, with very picturesque towns and traditional villages, which also have a contemporary atmosphere; a fusion that is simply irresistible. Argolida Beaches are ideal for endless moments of relaxation and recreation. Most of the Argolida beaches are situated in bays, making them safe for families with small children, even when the sea is choppy. 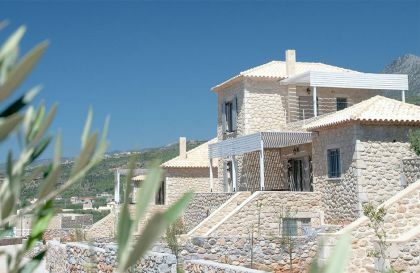 There are many villas located near stunning beaches, offering easy access to a swimming and sunbathing paradise. Arkadia : the most ancient inhabitants of Peloponnese. In historical period they created big cities. Immense forests, picturesque villages, wild nature but also sea with marvellous beaches in the seasides compose the natural environment of Arkadia. After Argolida. The quaint villages of Mountainous Arcadia. Main areas are: Dimitsana, Leonidio, Megalopoli, Tripoli. Here we find great beaches and summer resorts like Tyros, Leonidio and Astros. Corinthos (Korinthia) Sterea Hellas ( Central Greece ) with Peloponnese. 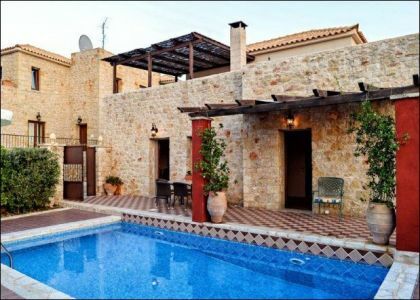 It is known for its many summer resorts villas that have sprung out on its north coast and for the various archaeological sites, that have remained from ancient years. The capital, Corinthos, is 84 km from Athens. Is also an ideal place for summer vacations since many are the wonderful beaches that have contributed to the development of tourism. Small villages and towns such as Vrahati, Derveni, Kiato and Xilokastro are attracting many tourists from all over the world, offering the wonderful climate and the clean waters of the area. Loutraki, famous for its hot healing springs, has for many years been a great solution to many people living Athens, who are looking for a weekend full of summer fun. Laconia is situated on the north-eastern part of Peloponnese. It is washed by the Messinian and the Laconian Bays, also by the Myrtoon and Cretan Seas. The wonderful islets Trinassos, Glaros, Leptonissi, Kasela, Roditsa, Daskalio and the island Elafonissos belong to Laconia. It is defined by the two impressive mountain ranges: Taygetos on the west and Parnonas on the east and between them the river Eurotas flows through the Laconian plain. The climate of the area, purely Mediterranean, varies with regions. Winter is generally mild but snowy on the mountainous country. Summer is hot, autumn is mild and spring is simply wonderful. The plains around Sparta are extremely fertile, full of orange and olive trees. There follows a hilly region where you can find a great variety of aromatic herbs and brushwood. The two feet of Laconia, the first flat, the second rocky have one common characteristic: the beautiful seashores, some of them with rocky small bays and secluded havens and others with infinite, sandy beaches. 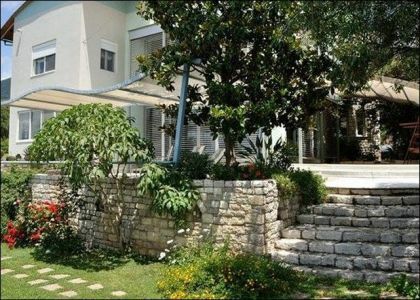 Achaia, apart from being an ideal destination for your holidays. 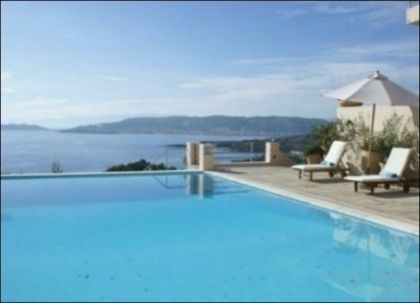 Achaia comprises of numerous towns, hamlets and villages, which are all very special. The historical and scenic town Kalavryta with the popular ski center, the cosmopolitan resort and transportation hub Rio, the coastal village Diakofto, Kalogria with the infinite sandy beach, the traditional mountainous village Zahlorou, the seaside village Akrata with the beautiful natural sites, are the most renowned settlements of the prefecture of Achaia. 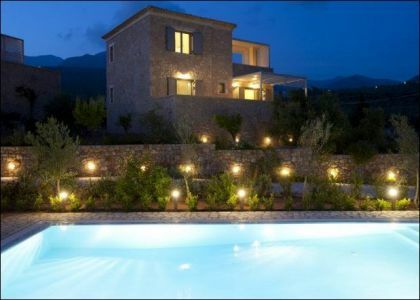 Ilia is a mini-paradise, and a wonderful choice for your holiday destination in the Peloponnese. lia is a very picturesque and beautiful region, with nature and fields as far as the eye can see. Vines, olive and citrus groves and vegetation can be found on very corner. With the various sandy beaches here as well. The region is littered with ruins of ancient cities, Byzantine churches and Medieval castles, of considerable archaeological and historical importance. With the various buildings and facilities spread out among the backdrop of eucalyptus and pine trees, this is a truly stunning area, where you will find peace and tranquility. Vacation in Messinia - around the prefecture of Messinia you will realize that this region was gifted by nature and history. The capital and port of the prefecture is the town of Kalamata, one of the most modern towns of the country, with parks, fine street planning, broad roads and excellently developed educational and artistic activity. Peaceful nature, warm climate, verdant landscapes, fertile regions, sea with extended sandy beaches, Venetian castles and traditional villages compose the exceptional allurement of the wonderful prefecture of Messinia. During summertime or during wintertime, the prefecture of Messinia is always enchanting.